Notwithstanding his violinistic pyrotechnics, Paganini seems to have had a rival for Cole’s attention: ‘I sat the greater part of the Evg by a pretty girl who I found out to be Miss Longden’. 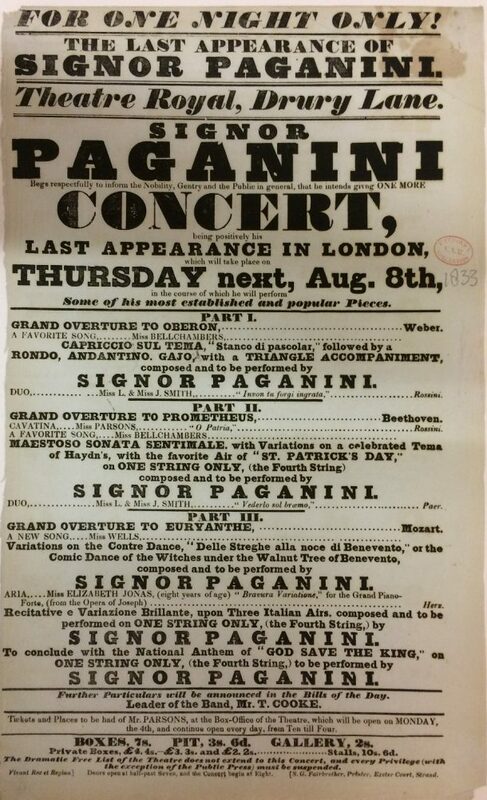 During his European tour, 1828 to 1835, Paganini visited Britain where he gave a series of concerts between 1831 and 1833. The composition that Cole singled out in his diary, Le Streghe (‘The Witches’), which Paganini had composed in 1814, was, along with his devilish virtuosity and cadaverous, emaciated appearance (partly a consequence of the side effects of medicine for syphilis), responsible for fueling media speculation about his association with devilry and witchcraft. 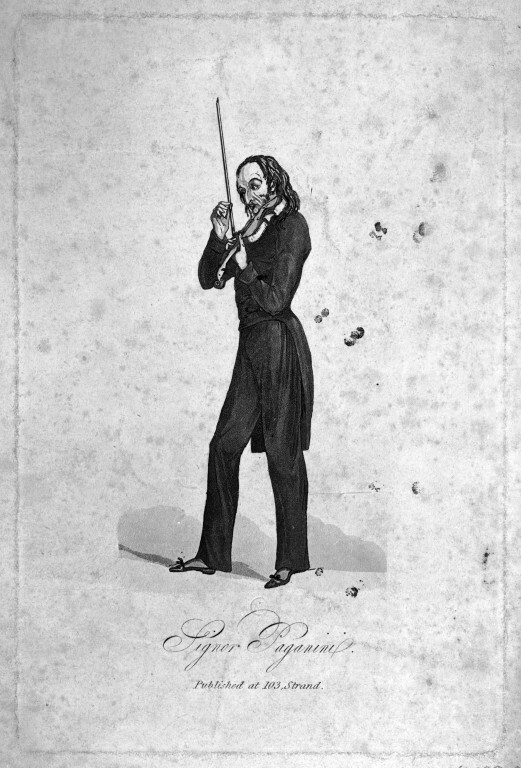 The third variation of Le Streghe is played on the G-string; according to rumour, Paganini had removed the gut from his murdered mistress prior to his imprisonment, which he used as the G-string on his violin! 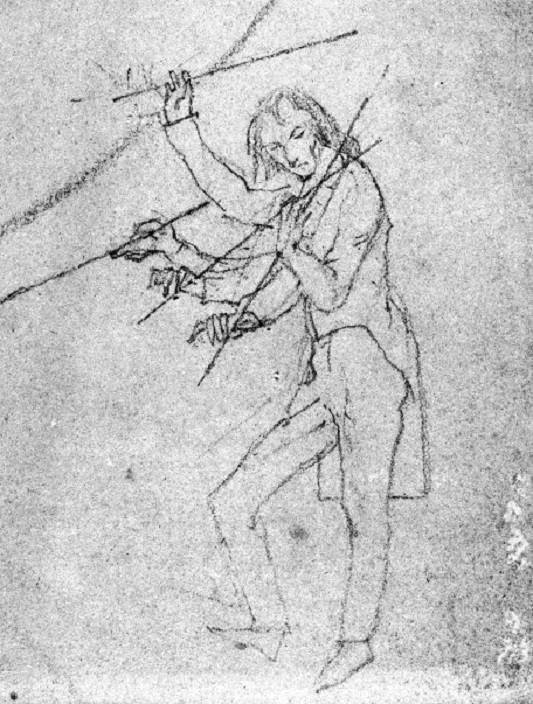 In 1831, The Athenaeum described Paganini as a ‘very Zamiel in appearance, and certainly a very devil in performance’, an allusion to Paganini’s predilection for wearing black court dress and to the role of Samiel, the Black Huntsman (demon), in Carl Maria von Weber’s opera Der Freischütz. 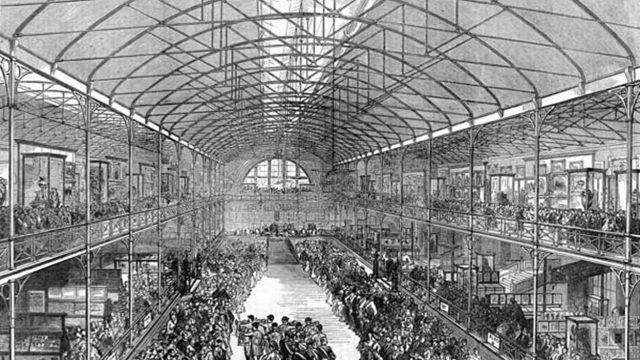 It so happens that Cole attended a performance of this opera on 11 May 1832, which ‘much delighted’ him; however, he thought the Covent Garden production the following year ‘wretchedly performed’. 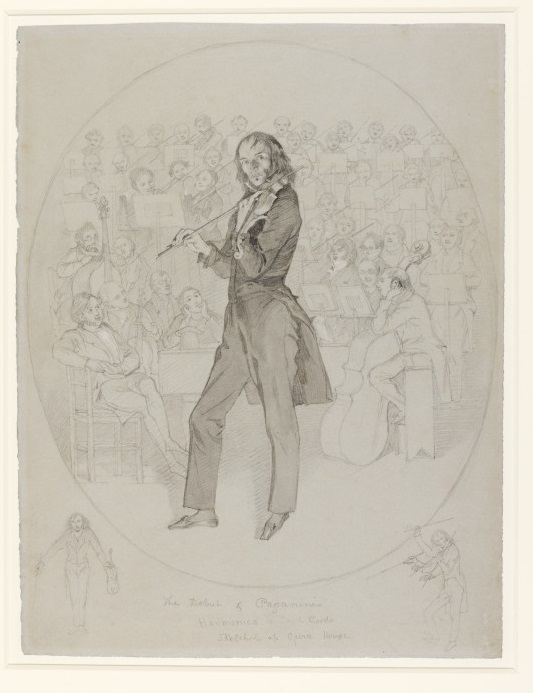 Cole was bewitched by Paganini’s technical skill and musicianship but, to his credit, seems not to have been seduced by sensationalist reports of the violinist’s reputed pact with the Devil. As I continued to turn the pages of Cole’s diary, I discovered that he witnessed Paganini perform on a second occasion – at his final London performance at the Drury Lane Theatre on 8 August 1833. 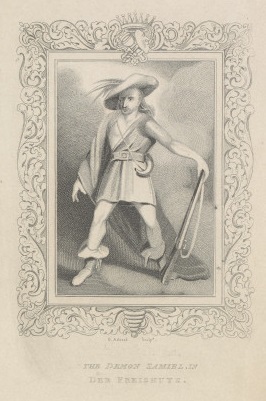 The New Monthly Magazine reported that this four-concert series was ‘attended by a brilliant and overflowing audience’ and that ‘At the rising of the curtain, sounds of unequivocal disapprobation greeted the unpopular musician, but, like another Orpheus, he wielded all wills to his purpose by the sound of his fiddle’. 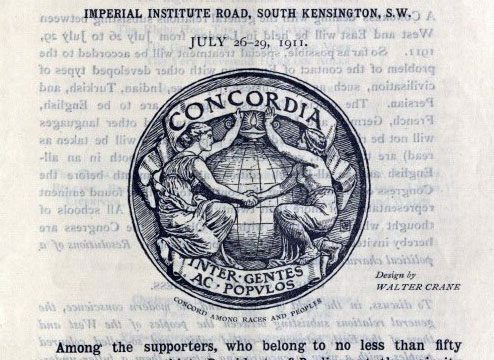 To judge from the crowded programme, it was one of those concerts which one suspects would have tested the musical resolve – and bladders – of the audience. The typesetting of the playbill, which names Paganini seven times in upper case letters, leaves no doubt as to the star of the show, although the brilliant virtuosity of Miss Elizabeth Jonas, aged eight, at the piano ‘excited considerable applause’. 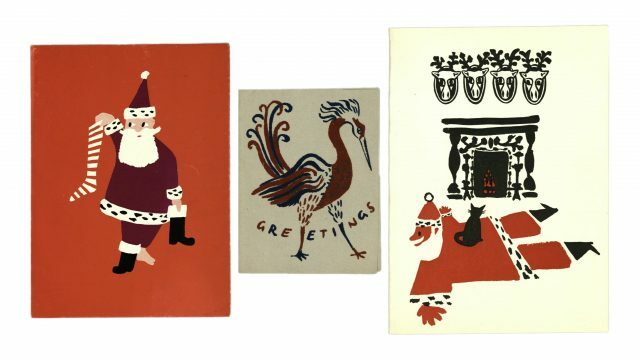 Cole’s high opinion of the violinist was undiminished: ‘His playing is marvellously expressive, articulating in a most surprising manner his intentions. St Patrick’s Day was the perfect representation of an Irish Jog & the witches dance equally effective in its kind’. The actor William Charles Macready (1793–1873), whom Cole had seen play Macbeth at Drury Lane in January 1832, concurred. Of the 17 July performance, Macready wrote in his diary that Paganini’s performance of St Patrick’s Day was ‘the sweetest piece of instrumental music I ever heard’. 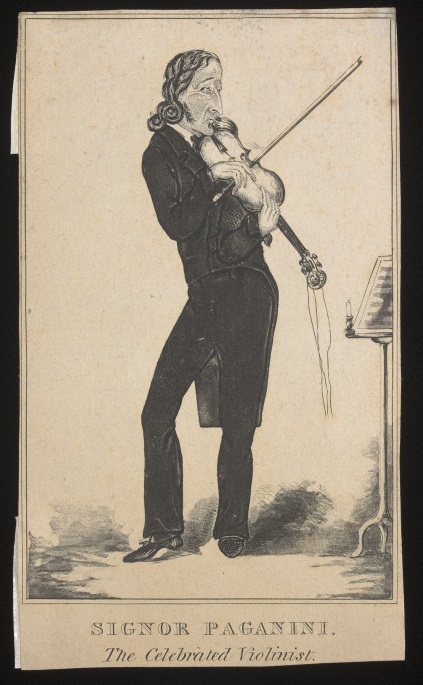 Paganini performed this work of his own composition on the fourth string (G-string): this print, with three strings dangling conspicuously from the violin’s scroll, captures one such feat of technical virtuosity.